The data market is currently worth over $3 trillion. Human beings have inadvertently become tools of data collection through their actions, movements, and behaviors. 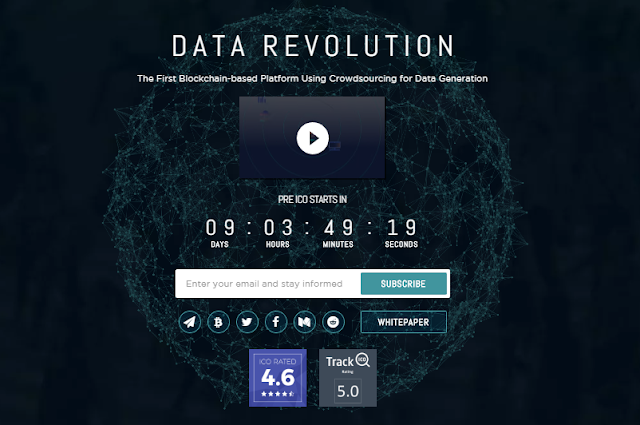 Dataeum aims to put human beings at the center of their proposed data ecosystem. By leveraging blockchain technology as well as crowdsourcing, Dataeum enables the collections of holistic data with irrefutable accuracy. Dataeum intends to disrupt the existing paradigm where corporate giants exploit data generation at the expense of its originators. Fundamentally, Dataeum aims to transform data collection by breaking barriers, decentralizing access to the information and giving back control to the rightful owners. 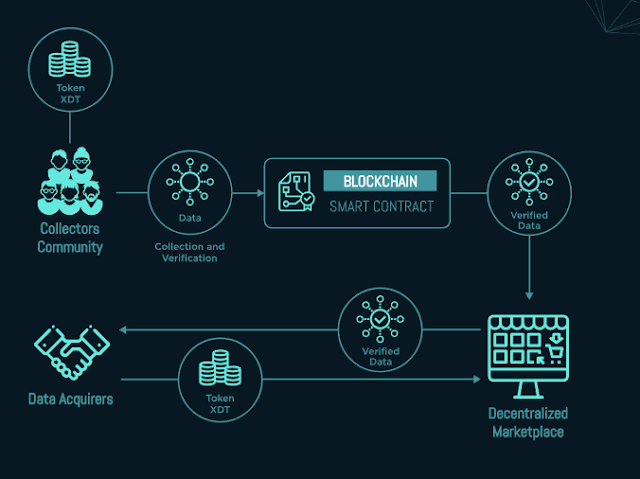 The Dataeum ecosystem will use blockchain technology, crowdsourcing and smart contracts to facilitate the accurate and dependable collection of physical data. The platform is centered on humans; hence, crowdsourcing is the best way to counter the limitations of the existing data collection methods. This will enable the accurate and wholesome collection of data across the globe. The human data collectors will receive payments for any activity on the Dataeum platform, be it a collection, correction or verification of physical data. The reimbursements are made through a mobile app using deep learning and augmented reality. 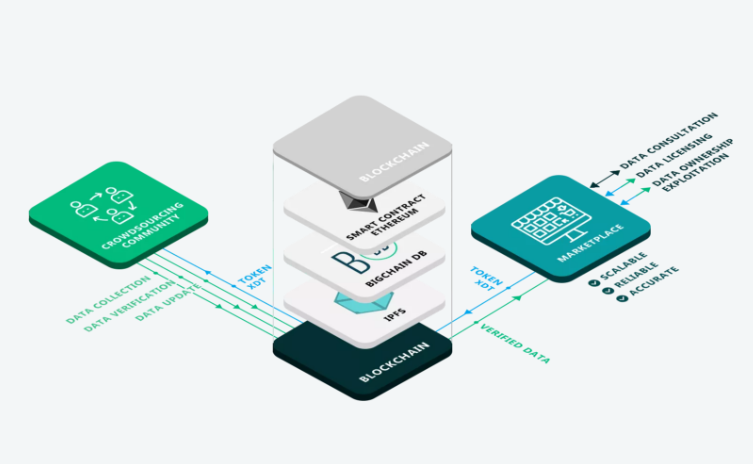 Smart contracts and Blockchain technology will ensure that the entire proceeds remain transparent. After validation, data will be published on the decentralized marketplace where token holders can access it. Dataeum will implement cutting-edge technologies to create an ample environment for data generation. Using deep learning analytics coupled up with augmented reality, the platform will significantly speed up the process of data collection. The solution will utilize the capabilities of artificial intelligence to enable automatic and instantaneous recognition of visual data. Eventually, the collectors will only have to verify the data, since the input collection is automated. The Dataeum platform relies on blockchain technology to ensure flexibility, effectiveness, and safety of data from the collection stage until it is published on the marketplace. The BigchainDB acts as the storage location for the collected data. Its inalterability guarantees an indisputable process of data validation and update. Upon verification, Ethereum-based smart contracts initiate the process of remunerating the data collectors. Thanks to real-time processing of transactions, the Dataeum platform is highly scalable. 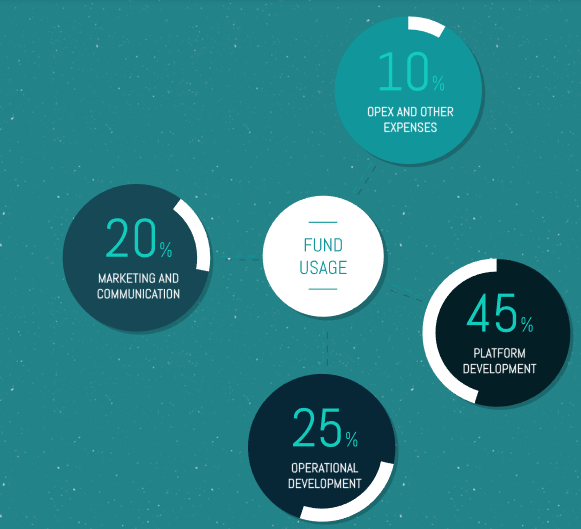 Furthermore, the remuneration process is transparent, and token holders can interact seamlessly within the marketplace. To fund its objectives, Dataeum will conduct an ICO where it will issue proprietary Dataeum Tokens (XDT). The total supply of XDT tokens is 1,000,000,000. Out of these, 500,000,000 will be available for sale during the ICO. The remainder will be shared between the team investors and the reserves. The crowdsale is scheduled to commence on 28th May 2018. The Hard cap is set at 50,000 ETH, with the price of the token being 1 ETH for 8,000 XDT. Dataeum is a blockchain-based platform which uses crowdsourcing to enable the collection of 100% of all global physical data (such as stores, gas stations, traffic signs) anywhere in the world, with 100% accuracy. It does this by using a distributed workforce of “collectors” who are incentivized in XDT Tokens to submit physical data. 1) Dataeum already has an App which makes it the only company that enables to gather 100% of any physical data, anywhere in the world, with 100% accuracy and make it available on a decentralized marketplace. 2) The collection solution has proven its scalability during successful tests in three major European cities — London, Barcelona, and Paris with a large community of collectors. 3) Dataeum has attracted not only highly experienced and devoted team members, but also such well-known advisors as Simon Cocking (TedX speaker, top ICO advisor on Icobench), Sébastien Bourguignon (digital blockchain expert), Anders Larsson (VP at Ericsson, founder of Allcoinwiki), Mikhail Zelenin (Smart contract RnD, Blockchain architect at Naviaddress) and Ian Scarfe (leading expert in blockchain ranked #2 advisor on Icobench). Majority of the proceeds from the ICO will go towards the technical advancement of the Dataeum platform, data collection, and enhancement of the marketplace. Marketing will also take up a substantial portion as Dataeum aims to become a global force in the data collection sector.